Saint Lesley herma - Pazirik Informatikai Kft. | Pazirik Informatikai Kft. King Saint Leslie died in 1095, and his body has been buried in the basilica of Nagyvárad (present-day Oradea Mare in Romania). He has been consecrated by Pope Celestin III in 1192. At that time his grave has been opened, and his body was laid in an ornate tomb. His skull however was removed and placed into a bust casket, a so called herma, and was placed above the tomb. The herma was destroyed in a fire in 1406, though the skull relic miraculously survived intact. 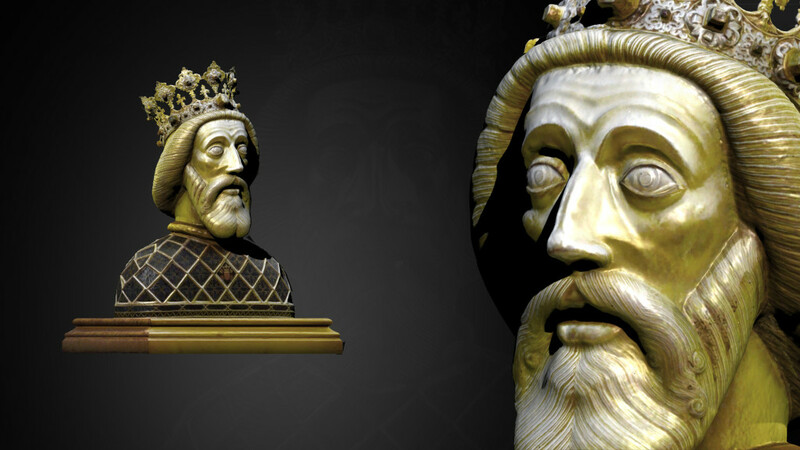 So a new herma was created during Sigismund’s time – one with the authentic facial features of the great king – according to Gyula László historian professor, who had the opportunity to examine the herma and the relic closely. 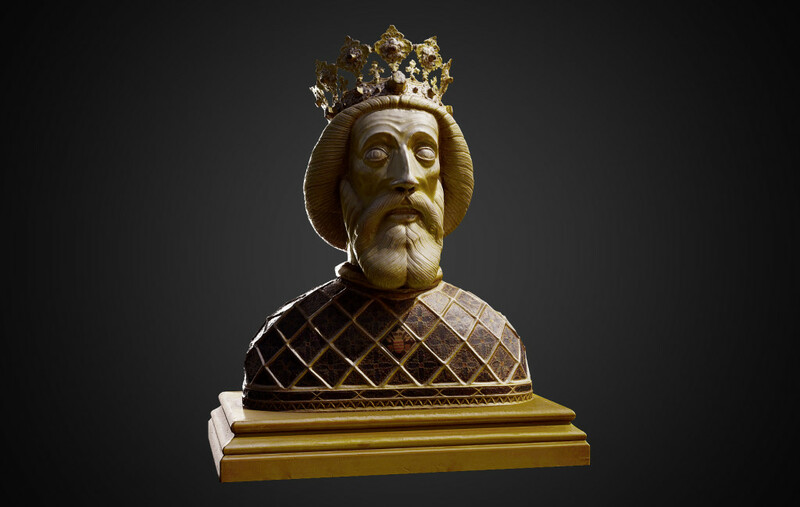 In the 15th century the jaw bone was separated and send to Bologna, while a piece of the neck bone has been granted to the cathedral of Nagyvárad, where it is kept in another beautiful herma. The Saint Leslie herma is the third most accentuated relic of Hungary after the Holy Crown and the mummified right hand of King Saint Stephen. Pilgrims are drawn to it from all over the world. It has been a great privilege for us that we could create the 3D photoscanned model of the herma.